In 969 CE the Fatimid dynasty entered Egypt and founded the city of al-Qahira (‘the Victorious’). Today we know it as Cairo. Over the next 1,000 years, successive Ayyubid, Mamluk and Ottoman eras followed, leaving glories of Islamic architecture and an ever-growing metropolis in their wake. Next to the Fatimid city emerged the neighbourhood of al-Darb al-Ahmar, a part of what is known today as ‘Historic Cairo.’ The district, a maze of narrow and winding alleyways dotted with medieval mosques, connects visitors with a past and a way of life that remains in very few places in the world today. Around 350,000 people live in al-Darb al-Ahmar, inhabiting old Mamluk-era houses, Ottoman mercantile quarters, and teetering unregulated apartment blocks. When walking through the district, one might in turn encounter a wedding procession, children playing football, or a horse-drawn cart delivering planks of wood to a carpenter. 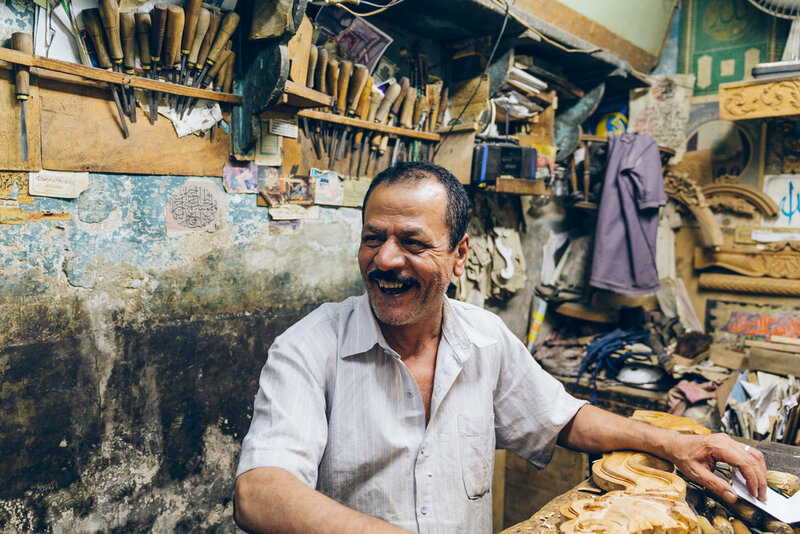 The neighbourhood is said to be home to 1,000 artisanal workshops. The artisan’s manual energy is on full display along the streets, where they can be seen carving, sewing, welding, and hammering. The sound of their exertions fills the air. 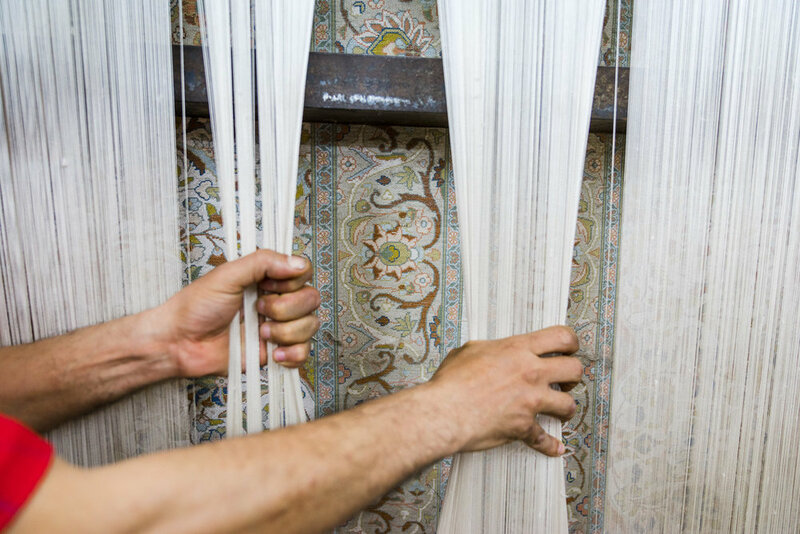 A huge array of crafts are made here - from brass lanterns, colourful textiles, and glassware, to silk carpets and furniture inlaid with mother-of-pearl. The designs are often unique to Cairo and, in some cases, to the district itself. It is an astonishing creative output. The work requires great skill and is physically demanding. It is hard work. But based on many conversations with the neighbourhood’s artisans, there is little doubt that the tangible output is deeply satisfying. 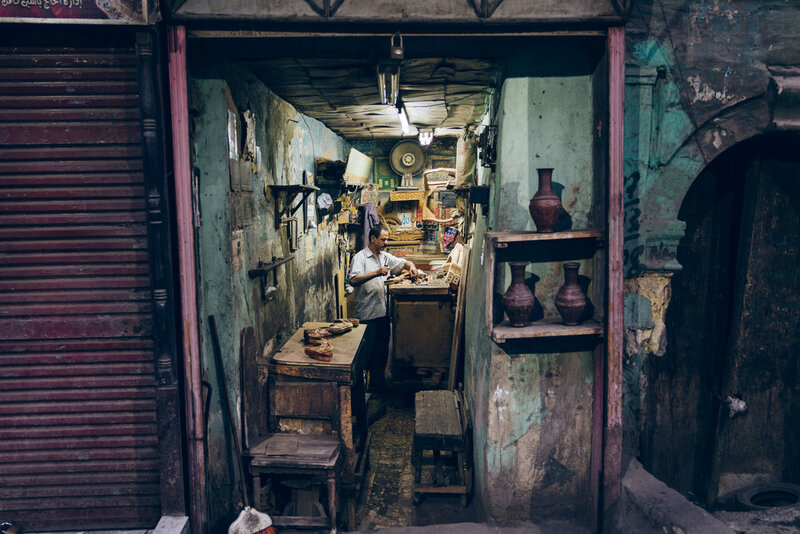 In the 21st century it is rare to see such a volume and variety of hand-crafted goods being made from start to finish in full view of the street. Coming from a part of the world that has lost much of its manufacturing heritage, I was captivated by the work of the artisans. I found myself in awe of these bearers of centuries-old knowledge whose craftsmanship offered a rare and precious glimpse into the past. 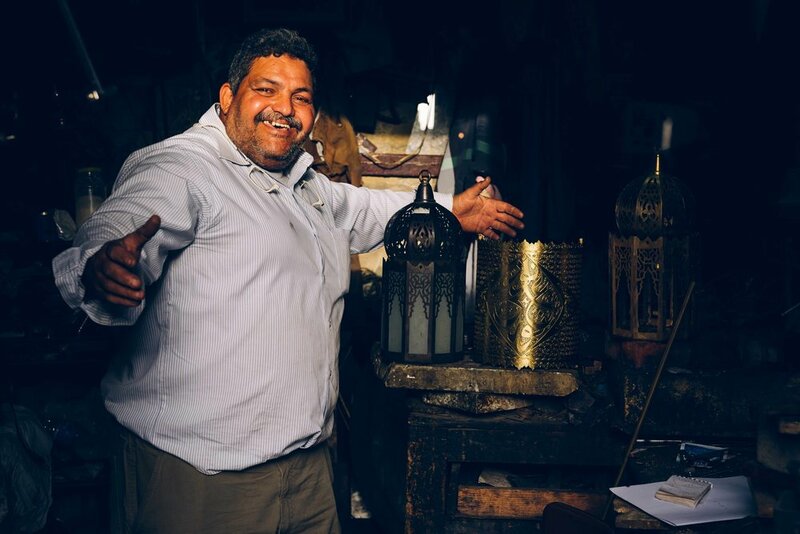 Due to recent political instability and a shifting external perception of Egypt, however, the future of many of these crafts is under threat. The number of tourists visiting Egypt halved between 2011 and 2016, while the cost of raw materials such as wood and brass has increased. In the absence of a vibrant market, tourist or otherwise, many of these crafts - some of which are part of traditions going back a thousand years - may not last another generation. The loss of this rich cultural heritage would be significant - the world and Egypt would surely be poorer because of it. 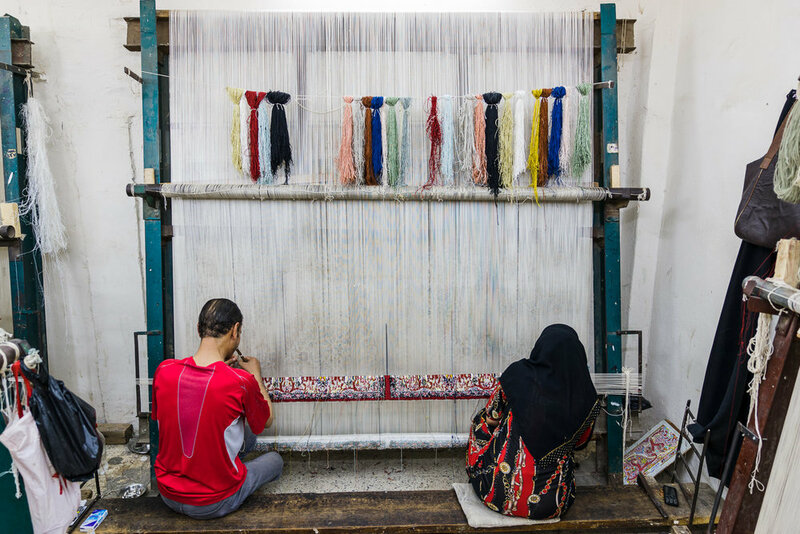 Efforts are being made by the government and non-government partners – such as the Aga Khan Development Network – as well as passionate individuals to support the artisans of al-Darb al-Ahmar. 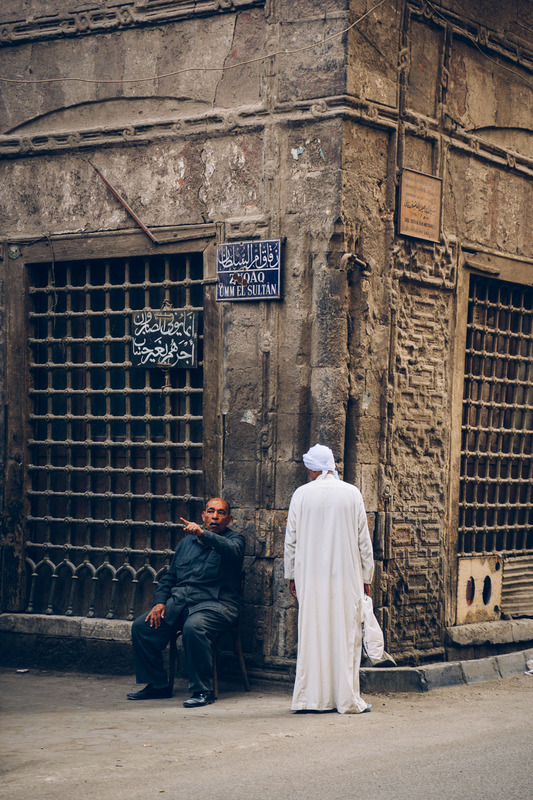 This series brings attention to those efforts, while it also celebrates the people, culture, and the activity that takes place in this dynamic but fragile quarter of Cairo. 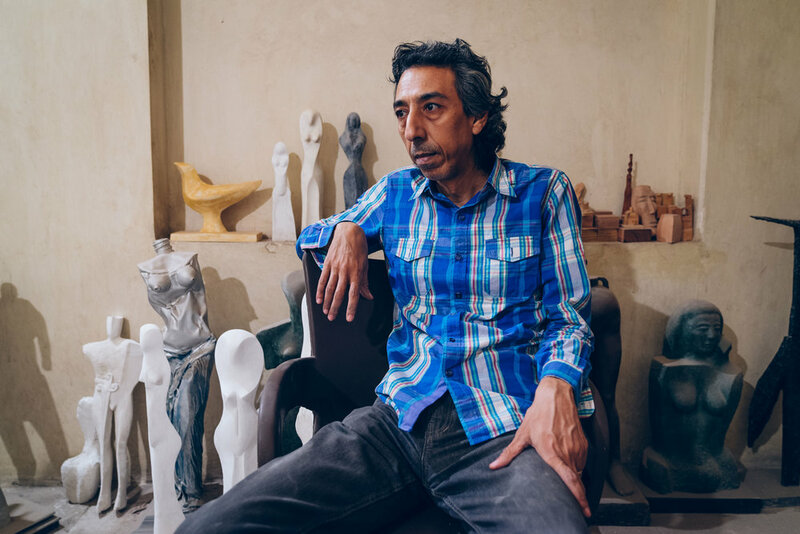 These photographs showcase the personalities who make up daily life and attempt to present a side of the city that is not often seen online, on television or in newspapers outside Egypt. 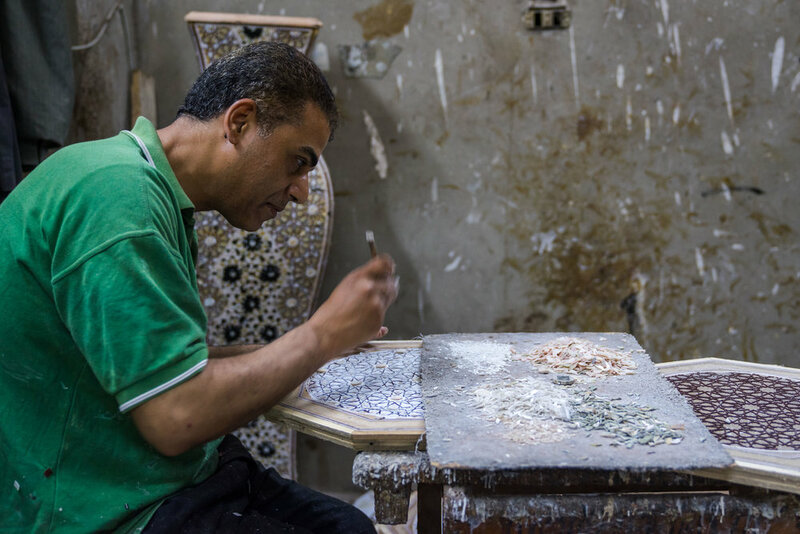 Ultimately, I hope that this series will inspire greater interest in al-Darb al-Ahmar and will encourage people to visit this special place – “the soul of Egypt”, as one artisan described it. The exhibition - 'The Artisans of al-Darb al-Ahmar: Life and Work in Historic Cairo' - ran at London's Royal Geographical Society between 22 March and 24 April 2018. It is currently being exhibited at Philanthropy House in Brussels until 4 February 2019. Images of the exhibition at the RGS, can be seen here. Images from the opening can be seen here. I would like to thank the wonderful Ghada Kabesh and Harry Johnstone for giving their time freely to work on this project. Ghada arranged interviews with artisans, brilliantly translated these in real-time, and provided valuable creative direction for the project as a whole. Harry flew from Tunis to conduct the interviews and write a beautiful travel piece which was published by The Guardian (see below). I’d also like to thank Russell Harris for his expertise on all things Cairo and Bronwen Westrip for her fantastic design work on the exhibition posters. Finally, I’d like to thank the Aga Khan Foundation for allowing me the time and providing the means to make this project a reality.